Reebok hit the news back in April with the decision to pull their 50 Cent TV advertisement from the United Kingdom, after a campaign by concerned parents through The Disarm Trust. 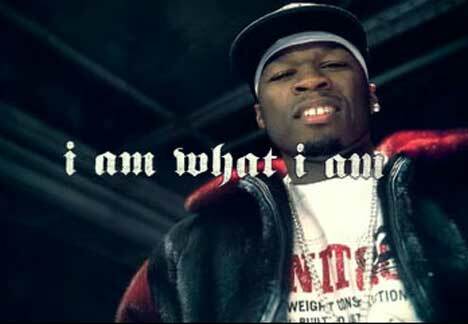 50 Cent is a hip hop artist from Queens. Born Curtis Jackson into a notorious drug dynasty 26 years ago, this guy was orphaned before he hit his teens. He launched his rap career with the album, “Power of a Dollar” and anthem “How to Rob”. In April 2000 he was shot nine times in front of his grandmother’s house in Queens. 50 Cent went into recovery mode before relaunching with his crew, “Thisis50“. He caught the eye of Eminem and Dr Dre who took him on to produce “The Massacre” and “Don’t Die Trying”. So where does Reebok come into this? Obviously looking for a slice of the hip hop market, Reebok worked with a number of stars for the “I am what I am” campaign, including Allen Iverson, Yao Ming, Lucy Liu and Jay-Z. mcgarrybowen is the advertising agency behind the campaign.